The term SARM stands for selective androgen receptor modulator. This is a class of androgen receptor ligands that were developed to cause the same benefits as androgenic drugs but with less side effects. In fact, many different types of SARMS have been shown to help with an array of medical benefits, in both males and females. Because of this, in recent years they have been used in the bodybuilding and fitness community as performance enhancing drugs (PEDs) to give the athlete an edge over their competition. SARMS are capable of stimulating hormone receptors under different conditions in the body, and they can also block unwanted effects as well. For example, an athlete can use SARMS to mimic the beneficial effects of anabolic steroids, while minimizing the unwanted side effects that are found with these much harsher compounds. In simplified terms, unlike anabolic steroids, SARMS work by binding to androgen receptors selectively, and without causing negative side effects. SARMS can cause anabolic activity in bone and muscle, but they won't harm the prostate and reproductive health of the user like anabolic steroids will. Therefore, you will not get the same suppression/shutdown, the shrinking testicles, or the difficulty recovering once coming off a SARMS cycle. On the other hand, many steroid users give up on cycling steroids because they find coming off too difficult. Moreover, if you abuse anabolic steroids it is likely you will have to require testosterone replacement therapy (TRT), as your body may cease the production of hormones on its own. Another benefit is that SARMS were designed to be easier to administer, either through capsule or liquid form (research purposes). Meanwhile, anabolic steroids that are taken orally are typically hepatotoxic (liver toxic). However, there is absolutely zero risk for toxicity with SARMS, as they are not methylated whatsoever. There is no doubt that there are steroids that are less liver toxic, but those have to be injected, which is obviously far less convenient. Add all this up, and SARMS could easily be considered a safer alternative to anabolic steroids in terms of muscle building. SARMS have been developed for many years and have gone through stages of trial with the purpose of giving health benefits and less side effects. There are several types of SARMS that are available for research purposes, all of which specialize in different things. Interestingly, SARMS are universally beneficial to bone health, sexual function, and muscle tissue. Furthermore, they do not convert or metabolize into estrogen, dihydrotestosterone (DHT), or dihydronandrolone (DHN). In terms of benefits for the athlete, SARMS has been growing in popularity especially among crossfit competitors. It is not surprising, since they will give the athlete lean muscle mass without water retention or bloat. Besides, they are also capable of giving strength gains, improvements in recovery, joint and bone health, and endurance increases. Many anabolic steroids convert to estrogen in the body, causing such side effects as bloating, water retention, and gynecomastia among others. This can have a domino effect and cause more undesired effects like heart strain and insomnia. Moreover, estrogen fluctuations are also notorious for negatively affecting libido. However, estrogen is not the only hormone to be concerned about when using steroids. 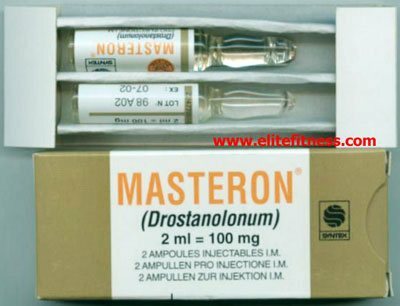 For instance, dihydrotestosterone (DHT) not only gets metabolized by every anabolic steroid, but some of these also are pure DHT derivatives themselves (masteron, proviron, winstrol). A rise in DHT will cause a loss of head hair because DHT fries those follicles. This is why you see professional bodybuilders get bald so often at a young age, and there is no stopping it from happening. Unfortunately, using 5a-reductase inhibitors like finasteride or dutasteride, will not save you from this destiny, as they only stop the metabolization to DHT. Thus, they do nothing if you are already taking derived DHT compounds, which comprise much of the 'cutting' steroids used by bodybuilders. Finally, dihydronandrolone (DHN) can wreck libido and fertility health for a long time. This hormone is metabolized when one uses a 19nortestosterone compound, such as deca durabolin or trenbolone. 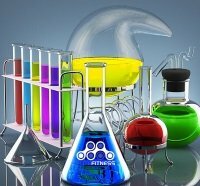 Hence the reason it is usually recommended to stack those compounds with testosterone, which will reduce this effect. Luckily, there is no need to be worried about this trio of nasty hormones when using SARMS instead of anabolic steroids. Ostabolic, Osta, Ostarine MK2866: This SARM was found to work well for osteoporosis treatment. Additionally, it was used in the treatment of andropause and muscle wasting in cancer patients. BMS-564,929: Used for andropause issues, and helpful with muscle growth. Anabolicum, LGD, LGD-4033 Ligandrol: Used for andropause issues. This SARM also improves bone and muscle health. LGD-2226 and 3303: Possible benefits for bone and muscle health. S-23 and 40503: Uses as a male contraceptive. Andarine (S-4): Intended for treatment of BPH (benign prostatic hypertrophy). All these types of SARMS have been used by athletes for doping reasons, and they are currently banned by sports organizations for giving an unfair advantage. For instance, recently the football quarterback for the University of Florida was caught using Anabolicum (LGD-4033) and got suspended. The most popular SARMS used by athletes right now are Cardarine, Anabolicum (LGD), Ostabolic (MK2866), and Andarine. There are other drugs that are technically not SARMS, but are still categorized as them. These include Stenabolic (SR9009) and Cardarine (GW501516). Both Stenabolic and Cardarine and considered the best fat loss SARMS on the market. For further information on these, or other similar compounds, please read the individual profiles on each. Athletes will add SARMS to their existing steroid stacks or stack them together. This is popularly called 'double stack' or 'triple stack,' depending on the number of SARMS used together. Due to their versatility, SARMS can be utilized in cutting cycles, recomping, or bulking as well. Precisely this versatility and their lack of side effects has helped grow the SARMS' popularity in recent years. SARMS in tablet form are only available on the black market, and typically they are laced with weak versions of pro-hormones or other over the counter supplements. The problem here is that these weak pro-hormones do come with side effects, and users have ended up with gynecomastia and suppression when they expected to be using side effect-free SARMS. As a result, this has led to SARMS having a reputation of being harsher than they really are in the fitness community. The other way SARMS are available is in liquid form (which is taken orally) sold by research companies. However, the problem is that you do not know what you are really getting, so it is important to purchase your SARMS from a legitimate source, such as sarms1.com. With this version you would drop the liquid down your throat and chase down with juice – as simple as that. All in all, real SARMS are minimally suppressive, do not convert to estrogen, and do not cause the great variety of harsh androgenic side effects seen with anabolic androgenic steroids. First post, jumping right in with SARMS experiences and a few questions.